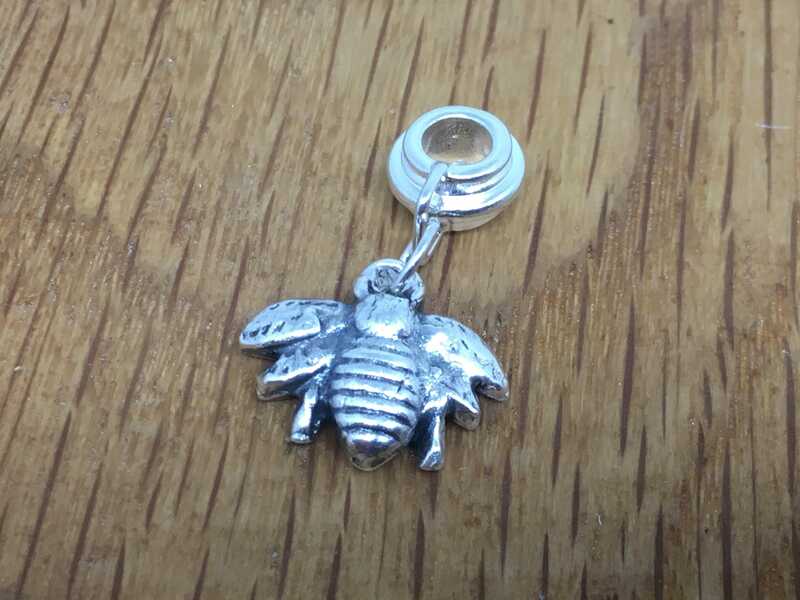 This is a beautiful handmade, silver bumble bee pandora-style charm which can be worn on a bracelet or a necklace. 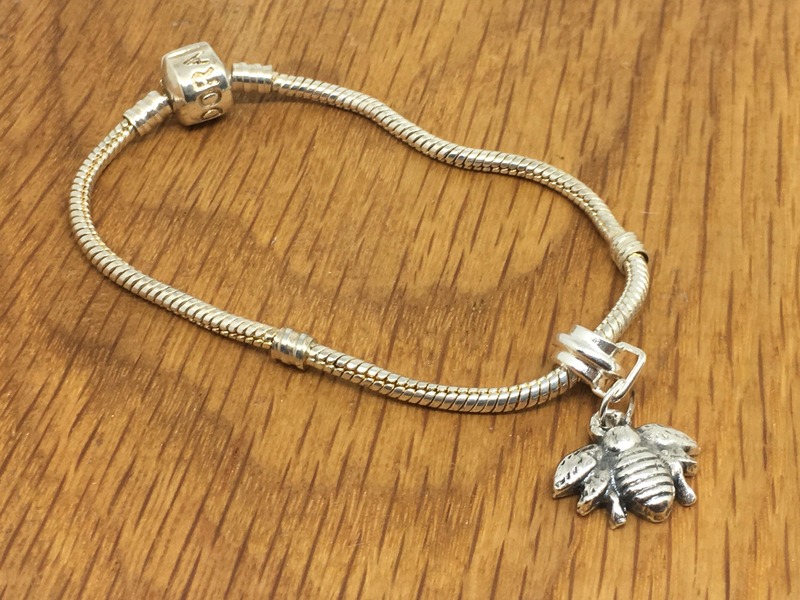 It can fit a pandora-style bracelet or also looks great on a lovely silver chain. It was hand made and fired in my studio using 99.9% fine silver. 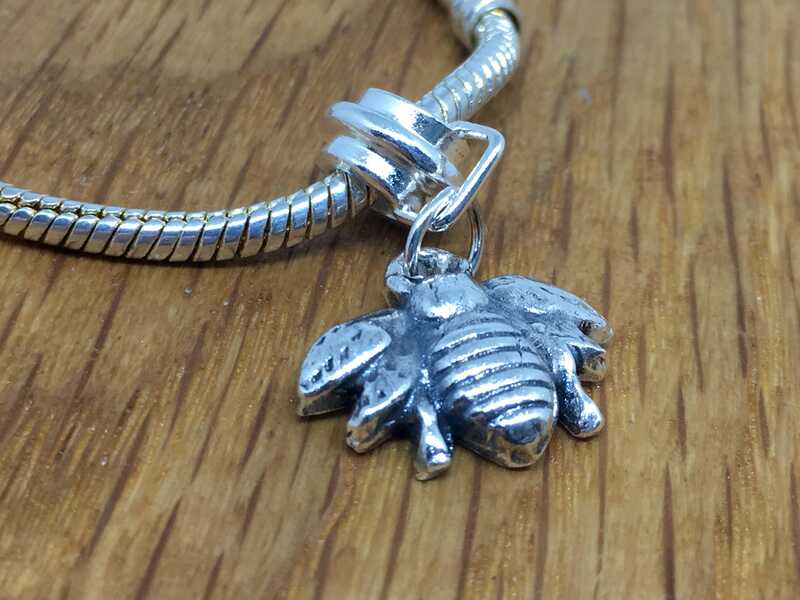 In the pictures the silver has been oxidised and polished back to show off the detail. 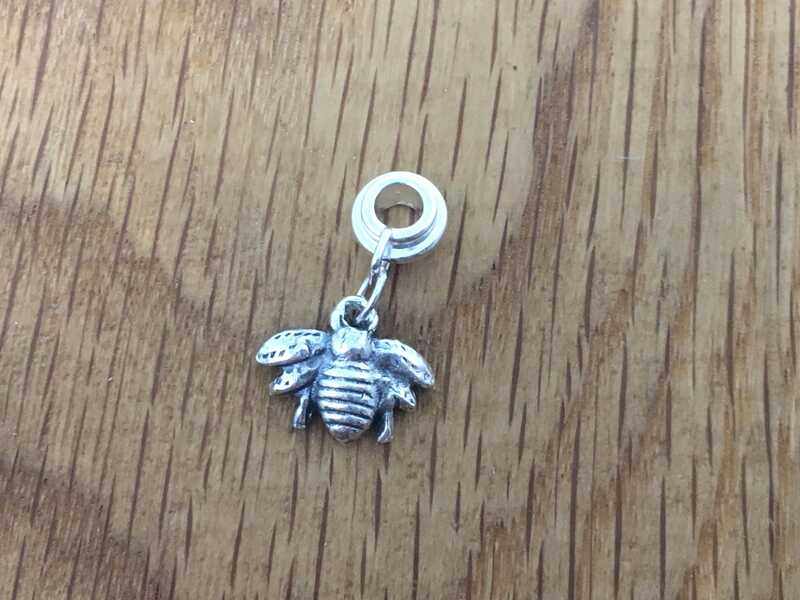 If you'd prefer a plain polished bee then let me know at checkout. 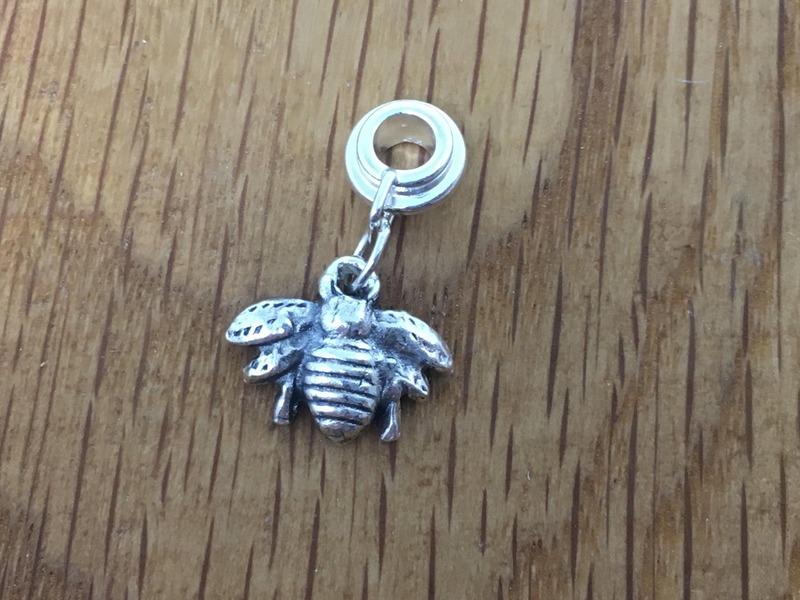 The bumble bee has many meanings and symbolism in folklore. 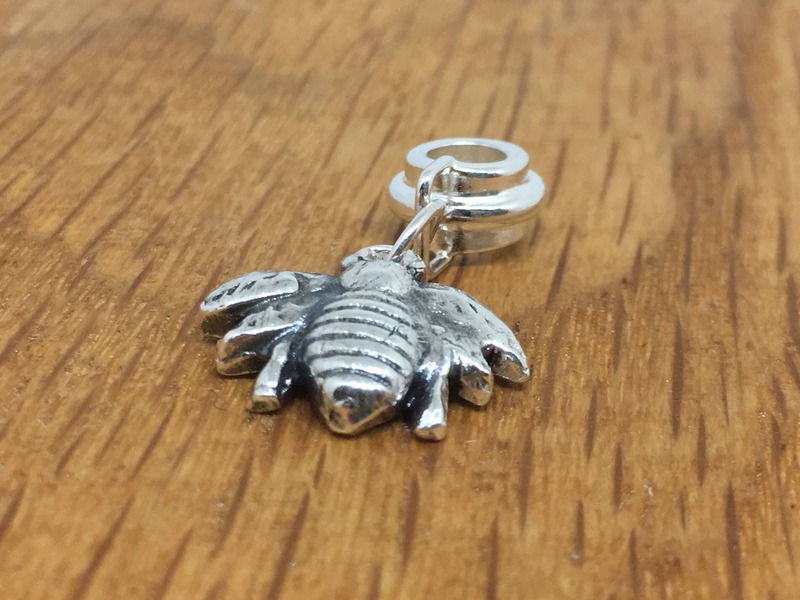 It symbolises Royalty and celebrates nature and abundance too. It symbolises the fact that anything is possible. 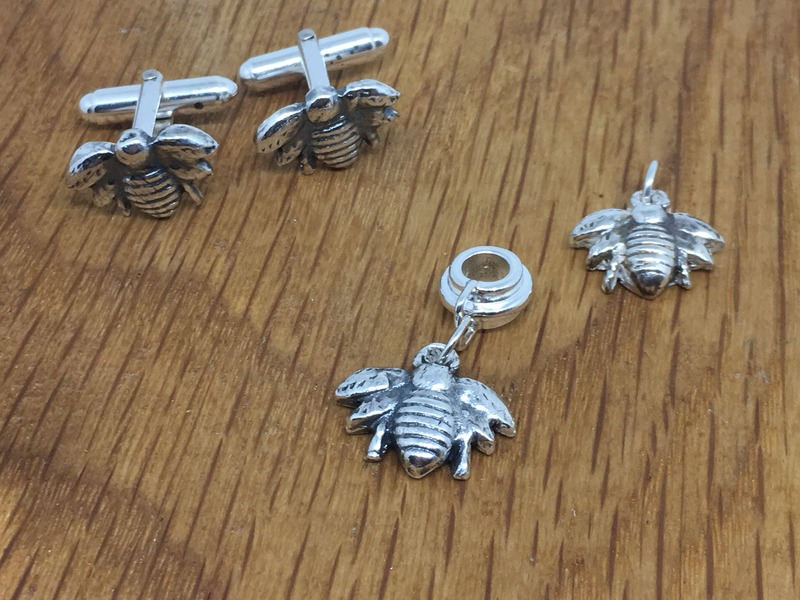 The bee can be personalised and other items can be purchased too such as earrings, plain necklace charm or cufflinks. 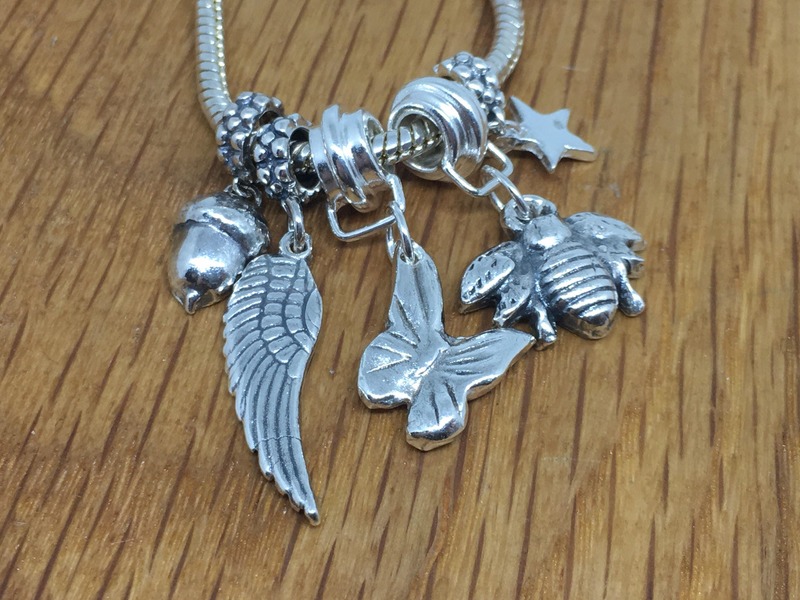 Other pandora style charms are available in my shop or if there's a particular one you'd like please get in touch. 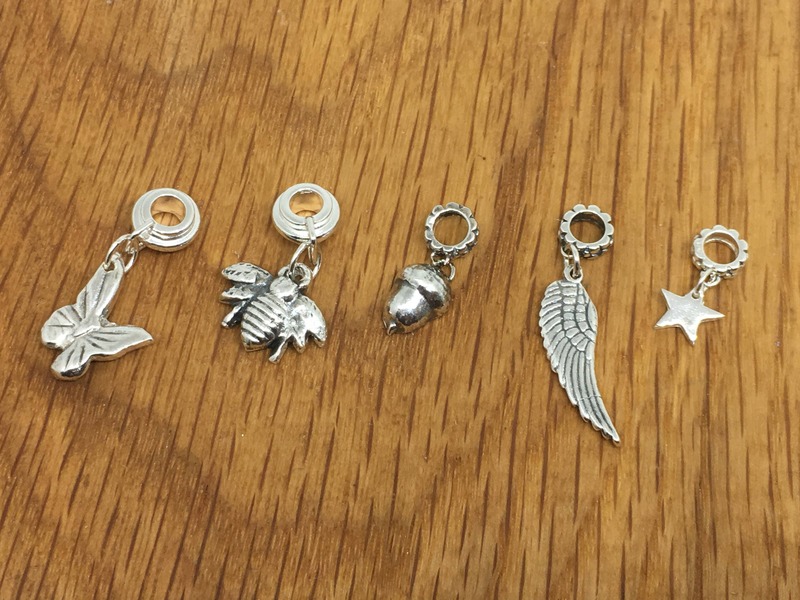 Unless otherwise noted, the charms in my store are not authentic Pandora Charms/Beads. 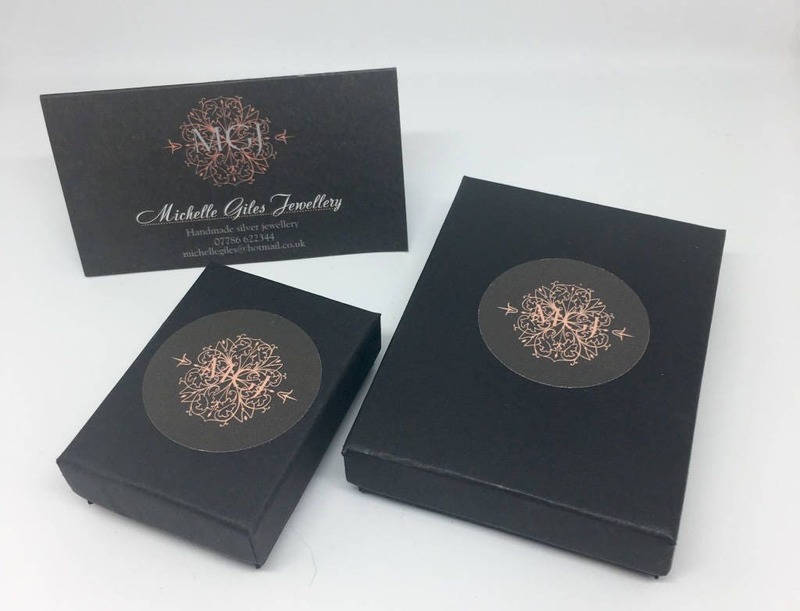 They fit the Pandora bracelet and chains along with all other types of European chains and Bracelets.